John joined CEA as a Senior Associate in December 2017. Based in New York, John assists CEA’s clients in addressing strategic and analytical questions on a wide variety of environmental topics. 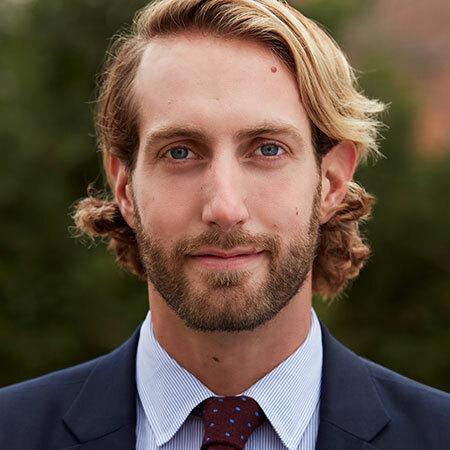 Prior to joining CEA John was a Senior Program Associate at the Rockefeller Foundation, where he was responsible for the strategy development and management of environmental initiatives in marine conservation, food loss and waste, water, and climate. Prior to the Rockefeller Foundation John founded a social enterprise in Cambodia that designed ultra-low-cost agricultural products and services for low-income farmers. John’s work is grounded in principles of human-centered design, behavioral science, and financial and market incentives as ways to drive positive conservation outcomes. John has a bachelor’s degree in Human Biology and a Master’s of Science in Earth Systems (Anthrosphere concentration), both from Stanford University. In his free time he enjoys open water swimming, surfing, and making ceramics.